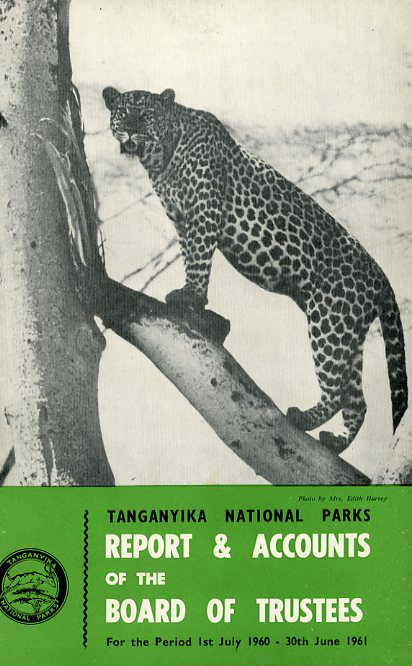 Beginning in the late 1950s, WCS expanded its wildlife conservation efforts into Africa, with a particular interest in the establishment and management of national parks. 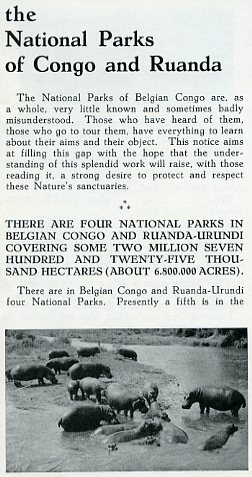 The WCS Archives’ Fairfield Osborn collection includes letters and other documents related to this work, including these pamphlets for African national parks, produced in the late 1950s and early 1960s. It was in Albert National Park (today Virunga National Park) in 1959 and 1960 that field biologist George Schaller, with WCS funding, conducted his pioneering studies into the ecology and behavior of mountain gorillas. WCS Archives Collection 1029. Collection processing made possible through the National Historical Publications and Records Commission Access to Historical Records grant program.